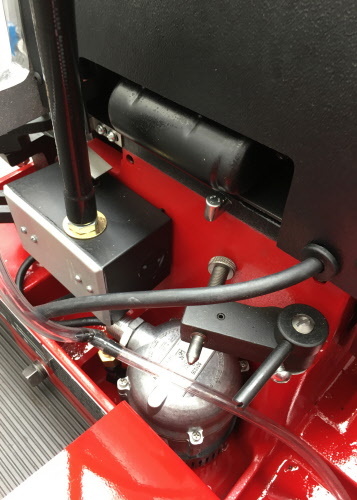 The results you can expect from KWIK-WAY's continuing efforts to bring you the very best valve refacer available. 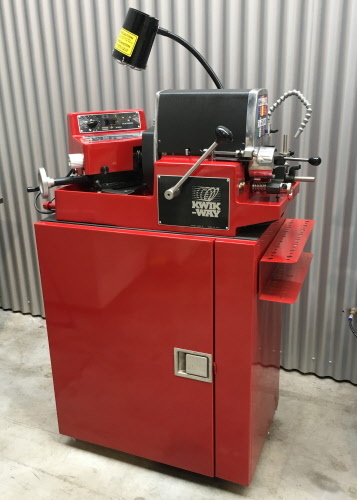 The Deluxe control panel places important features at your fingertips - valve counter, chuck speed control, separate switch positions for spindle and chuck motors, valve speed chart, and machine maintenance chart. 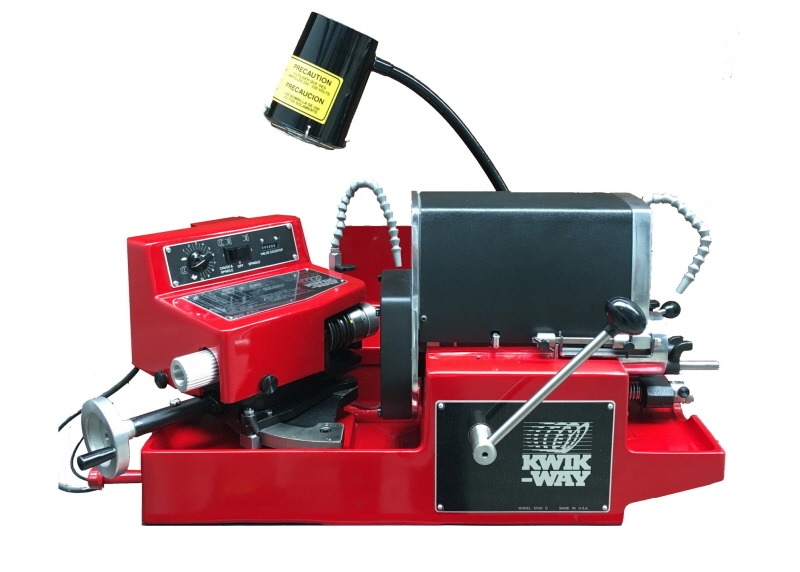 The main advantage that others have failed to duplicate is Kwik-Way’s exclusive six-ball centerlining chuck. 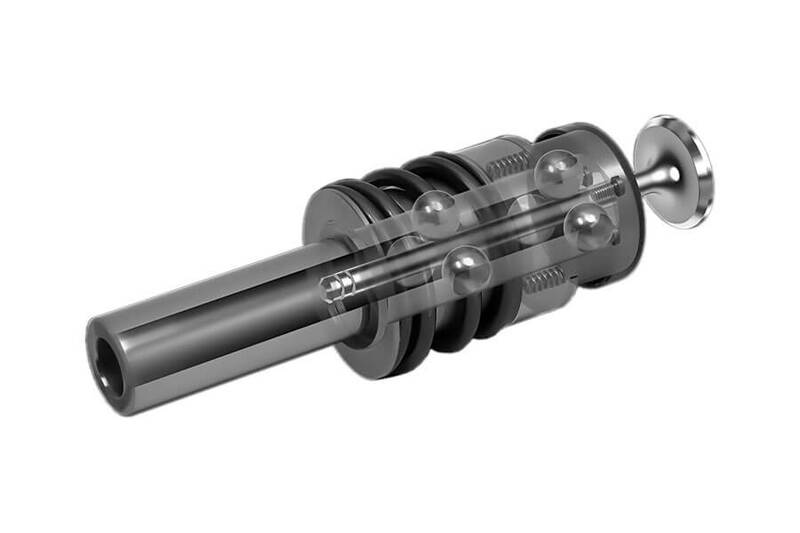 The two sets of balls (three in each set), automatically find the existing valve stem centerline. This chuck handles any valve stem from 4mm to 14.3mm. Other machines can require as many as nine separate collets to achieve the same range. 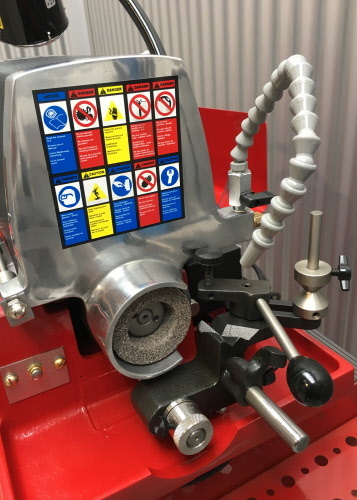 Collet and "so-called centerless grinders" transfer wear from the valve stem directly to the valve face during grinding. Historically, these designs are only capable of achieving their advertised accuracy on NEW valves. taper on the valve stem will not affect accuracy (even on new valves). This feature is available EXCLUSIVELY with the SIX-BALL CENTERLINING CHUCK - a standard feature on all KWIK-WAY SVS II DELUXE Valve Refacers. 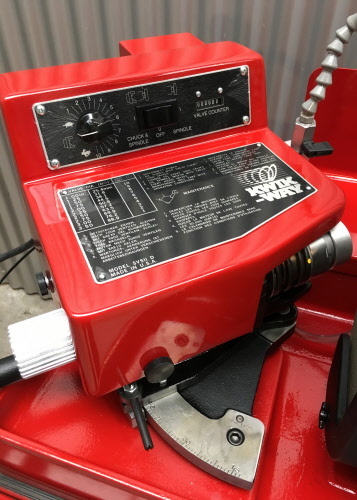 The Kwik-Way design features dovetail ways which remain adjustable for long-term accuracy. The valve position swivel plate is indexed in 1º increments to ensure accuracy of grinding angles from 13º to 62º.